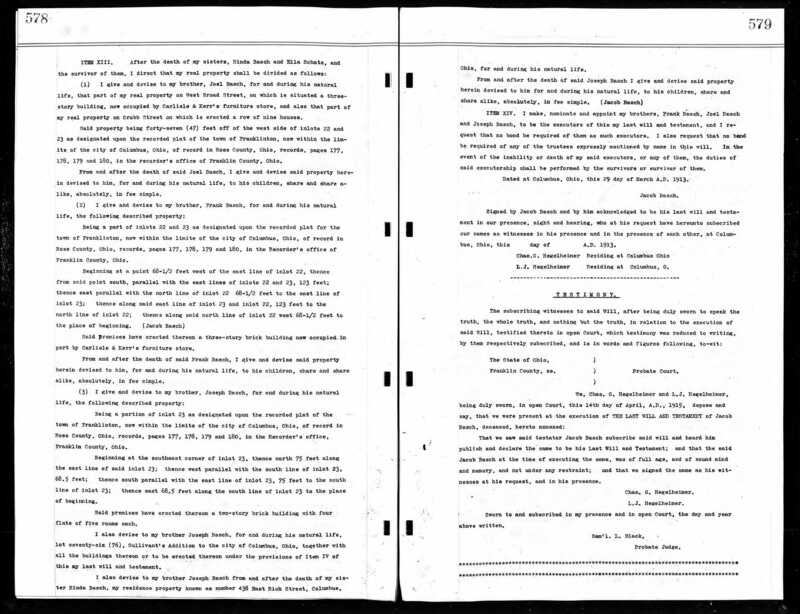 This is Felix S. Goldsmith’s verdict. He is one of the younger men who are shoving the Queen City to the front. Hard times? Not for him. He wasn’t a bit bluffed upon getting out of a hospital from a long siege of sickness just when the calamity howlers were busy. 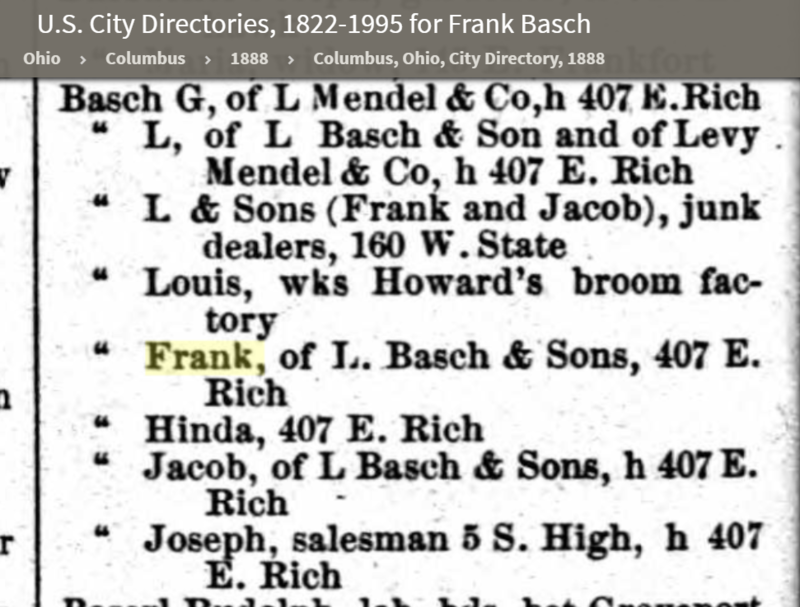 He plunged in, organized the Freericks Hot Water System Co. and demonstrated that HARD TIMES was a joke in Cincinnati. Goldsmith will hire over 300 extra men in a few days. Goldsmith is also largely interested in the real estate movement. 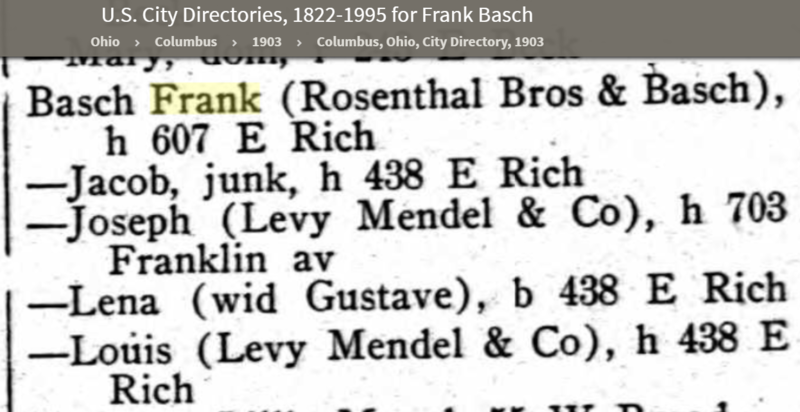 He is President of the Fernbank Real Estate Co. For several years prior to his removal to Cincinnati he was one of the high-ranking engineers of the Colorado district. 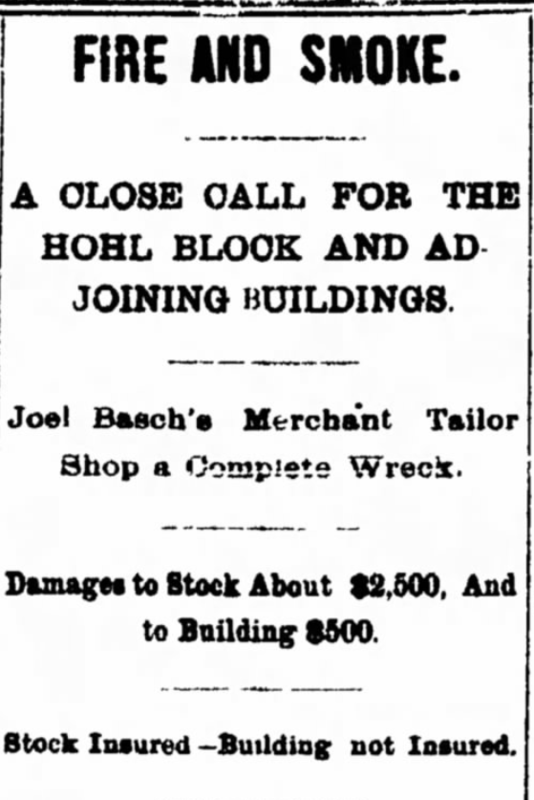 Felix S. Goldsmith, former Denver mining promoter, who for the past year has conducted an office in this city, and who is interested in exploiting a new morning newspaper here, to be called the Morning Mail, was arrested late last night on the charge of passing worthless checks on the Idaho Springs National bank of Colorado. Half a dozen merchants who hold checks marked “No funds,” made complaint against him. Goldsmith claims the checks were among those sent him by T.S. Richards of Denver, who, he says, is interested with him in vast mining properties there, and has an office in the First National Bank building. 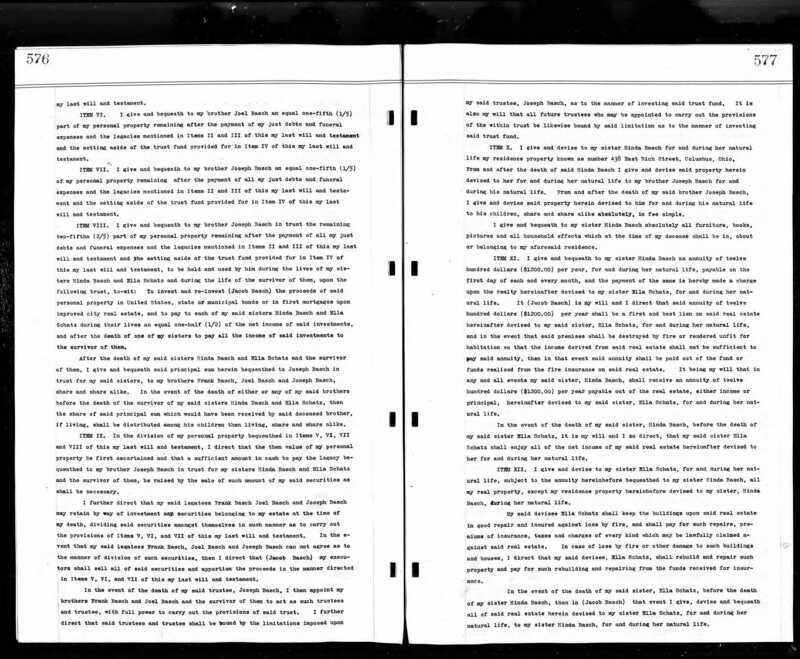 The drafts, he says, were first made out on the Idaho Springs bank, and deposited in the Continental National bank of Denver. Goldsmith says he has been suffering from nervous prostration for three years, and that relatives in Denver tried in vain to have him adjudged insane. The police have been trying to get in touch with relatives, but he refuses to give any definite information concerning their residence. He had, up to late tonight, been unable to get any one to furnish bail for his release. 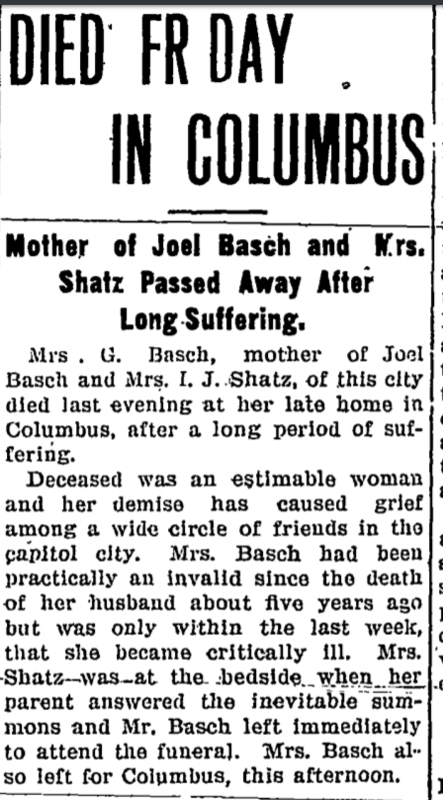 “Goldsmith—Was Patient at City Hospital, Lavishing Flowers, Candy, and Fruit on Nurses,” The Cincinnati Enquirer, July 27, 1908, p. 10. 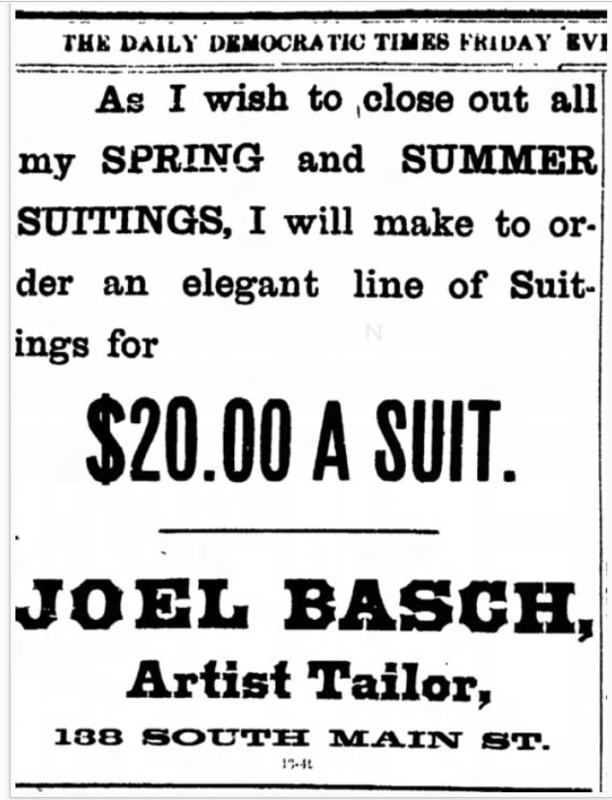 With the arrest of Felix Goldsmith at the instance of W.C. Seekatz, manager of the Florsheim Shoe Company, an avalanche of flowers and candy will cease at the City Hospital. As late as last November Goldsmith was a patient at that institution, an inmate for the neurological ward. 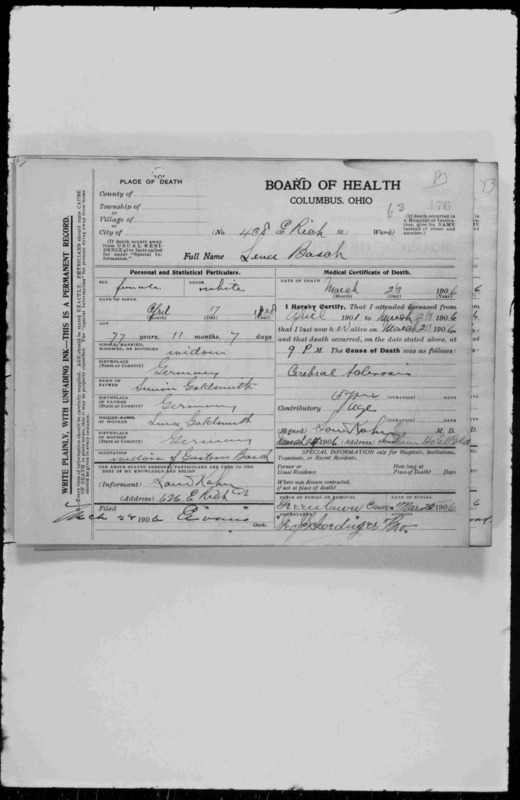 He was admitted to the hospital September 26, 1907, from the Rand Hotel and placed on the service of Dr. Herman Hopps, the alienist. At that time Goldsmith showed such decided symptoms of paranoia, having hallucinations of wealth and grandeur, that the physicians decided to probate him. In some way Goldsmith got wind of this and demanded his discharge, which he received on November 28. While in the ward Goldsmith formed a strange friendship with Al Milton, also a neurological patient, which after his liberation he showed in many ways. Only last we andek Milton received a check from him for $2, with a letter stating that in a few days he would make him comfortable for life. To the nurses who waited off him and others with whom he became acquainted during his sojourn at the hospital Goldsmith was most lavishly generous. Scarcely a day passed when they were not to be the recipients of boxes of flowers and candy and baskets of fruit. These were always accompanied with his card, without an address, which prevented the return of these unwelcome presents. 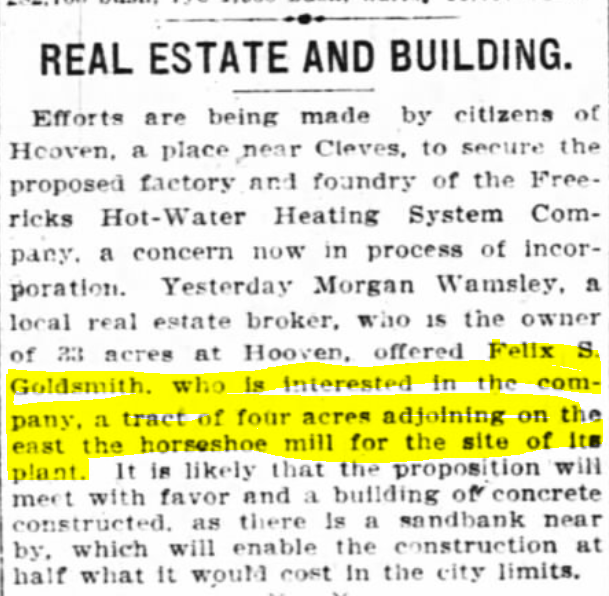 Felix S. Goldsmith, erstwhile promoter of newspapers and other big enterprises, as well as alleged layer of protested checks, was committed to Longview by Drs. David and Kendig, the Probate Court examining physicians, yesterday. 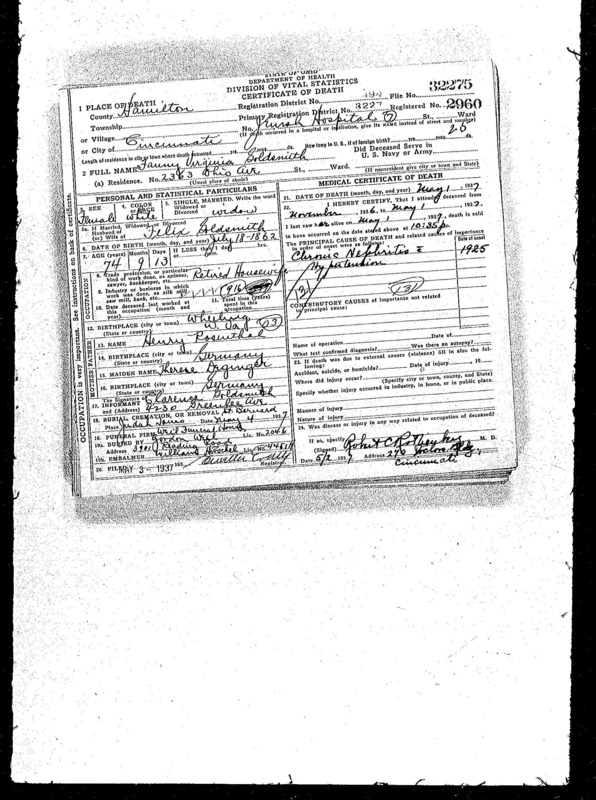 Goldsmith was before the Court on a lunacy warrant sworn to by his wife, Fannie Goldsmith, of 3004 Stanton avenue, who was later named as his guardian by the Probate Court. Goldsmith is 49 years of age, and has one son, Clarence, aged 19. 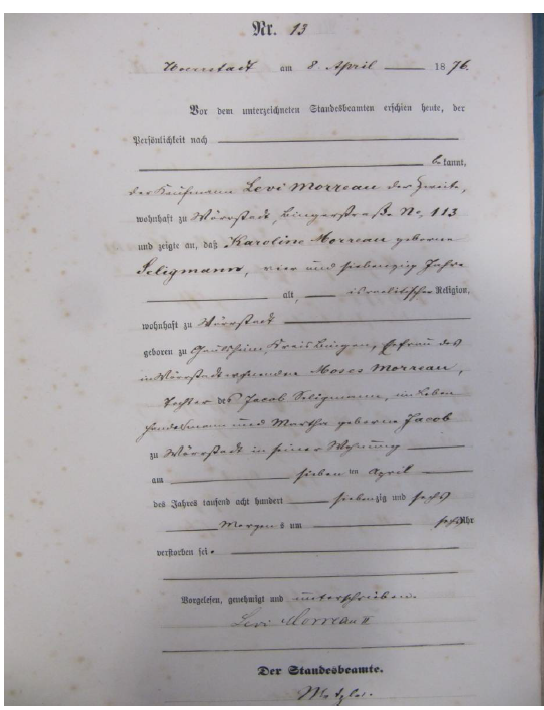 The certificate of the physicians states that he is irritable and quarrelsome and hard to control; that he has a suicidal mania and carried a revolver, and that he has ideas of great wealth and believes that he is being persecuted. To the physicians he stated that he is a promoter, and that he is running a newspaper, and that he has friends who are ready to advance him large sums to promote various businesses. 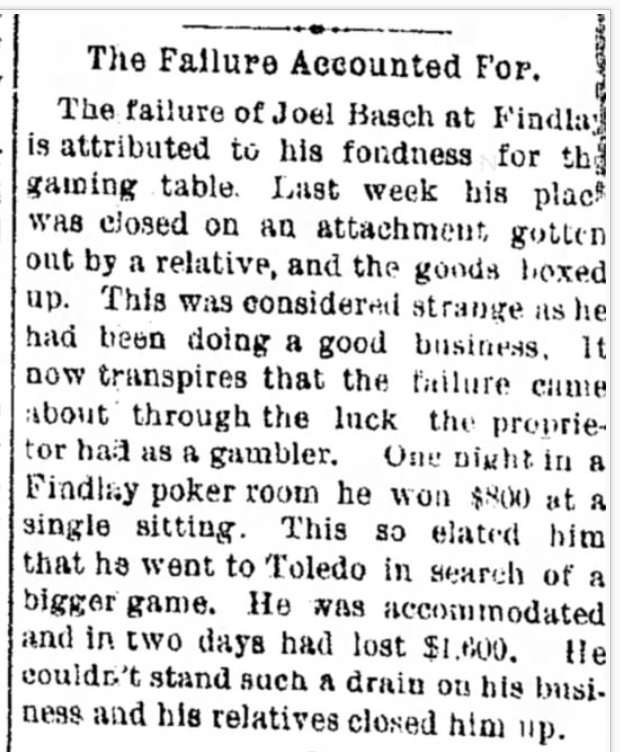 The cause of his mental trouble is attributed to worry over his business ventures. Attorney Frank Heinsheimer represented the wife in her action. 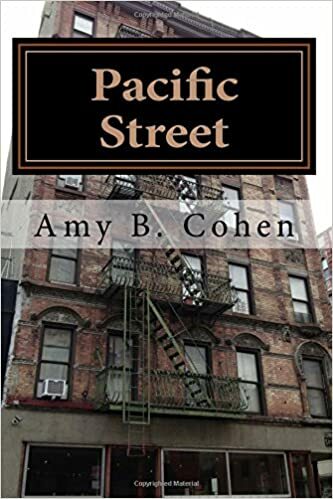 On Sunday, May 17, Goldsmith had a sensational encounter with his brother-in-law, Albert S. Rosenthal, in Avondale, and the next day Rosenthal secured a lunacy warrant for him. Goldsmith evaded arrest on the warrant for a few days, and then gave himself up, declaring that he could easily prove his sanity. 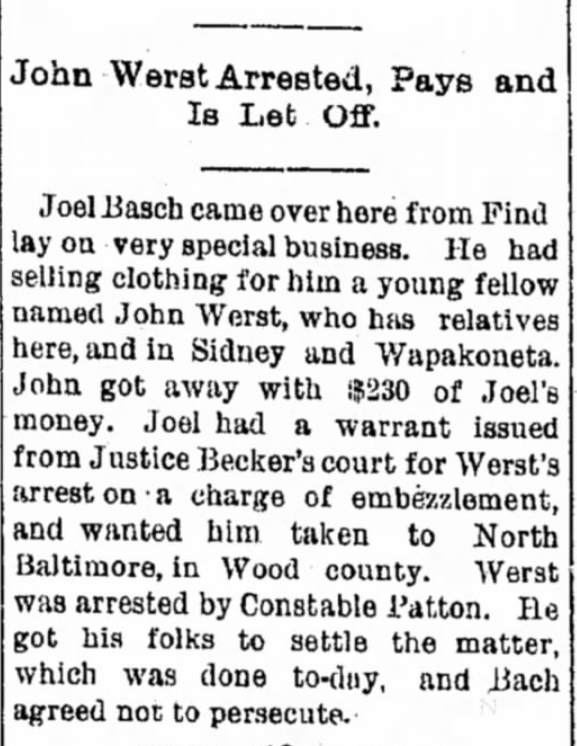 However, the warrant was never pressed and no inquiry was had at that time. The warrant, which was never withdrawn, was destroyed yesterday when Mrs. Goldsmith made the affidavit for her husband’s arrest. Within the past week or two Goldsmith had given a number of checks which the recipients were trying to have him take up, and as the result of one of these he was arrested. Then the lunacy warrant was secured. Goldsmith promoted a new newspaper to be known as the Morning Mail, but further incorporating nothing seems to have been done. This whole story is incredibly sad. Felix obviously had had some kind of psychotic break. The antiquated terminology like “lunacy” and the newspaper coverage seem so stigmatizing. Today one hopes that there is a better understanding of a psychosis like that suffered by Felix. 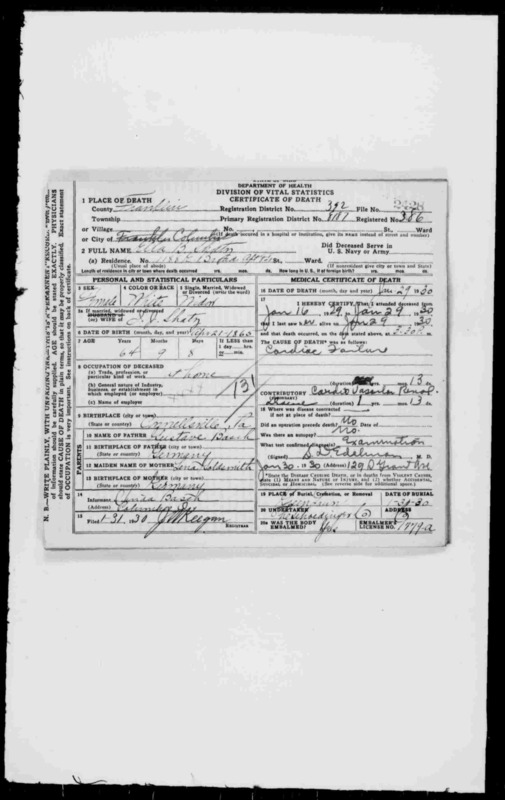 I could not find Felix on the 1910 census; I assume that he was still institutionalized. 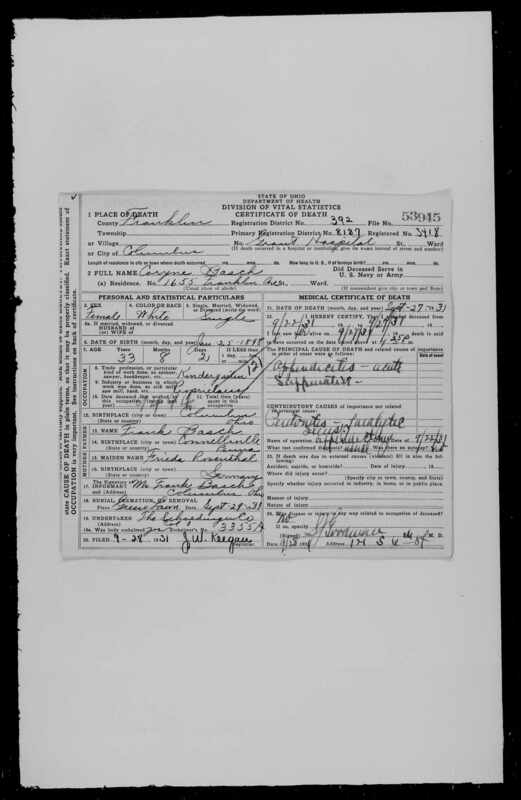 Felix’s wife Fannie and children Clarence and Ethel continued to live in Cincinnati. In 1910, they were living with Fannie’s sister Hannah Wachtel and her children. 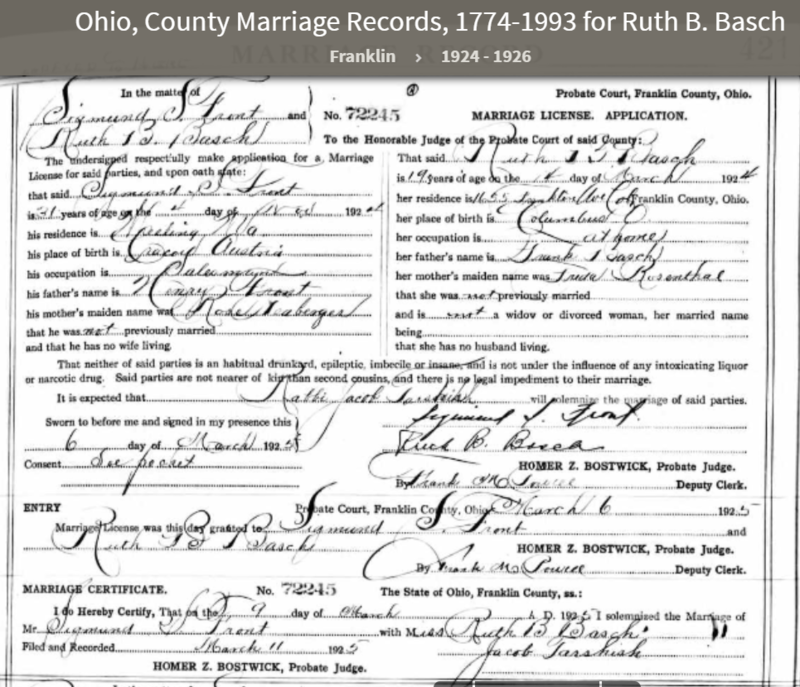 Fannie was working as a bookkeeper in a wholesale clothing store. 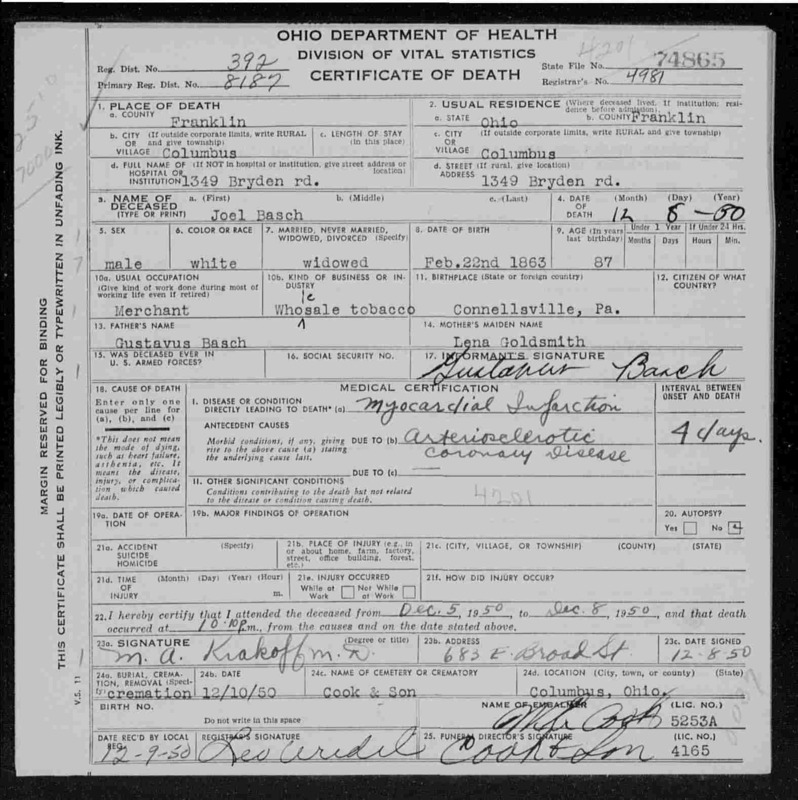 Kentucky Death Records, 1911-1965,” database, FamilySearch (https://familysearch.org/ark:/61903/1:1:N984-S31 : 2 January 2019), Felix Goldsmith, 1919; citing Death, Lakeland, Jefferson, Kentucky, United States, certificate , Office of Vital Statistics, Frankfort; FHL microfilm 1,952,863. 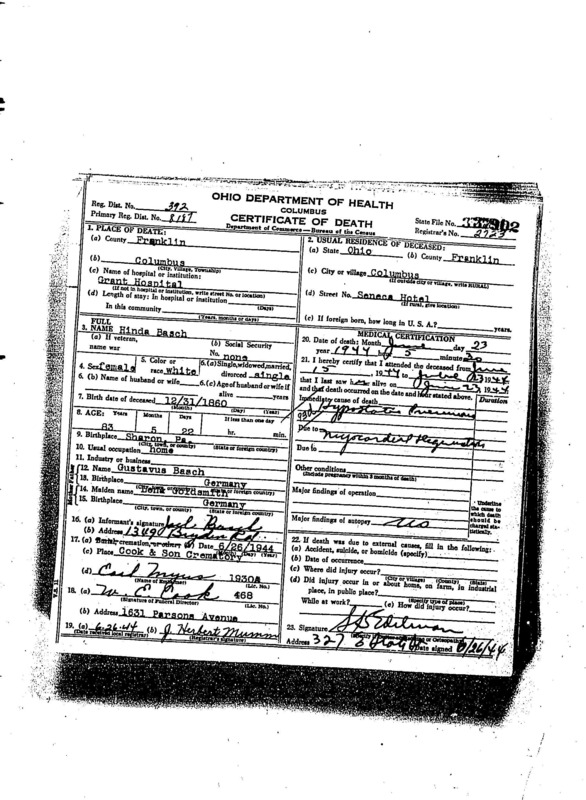 He died in Central State Hospital in Lakeland, Kentucky. 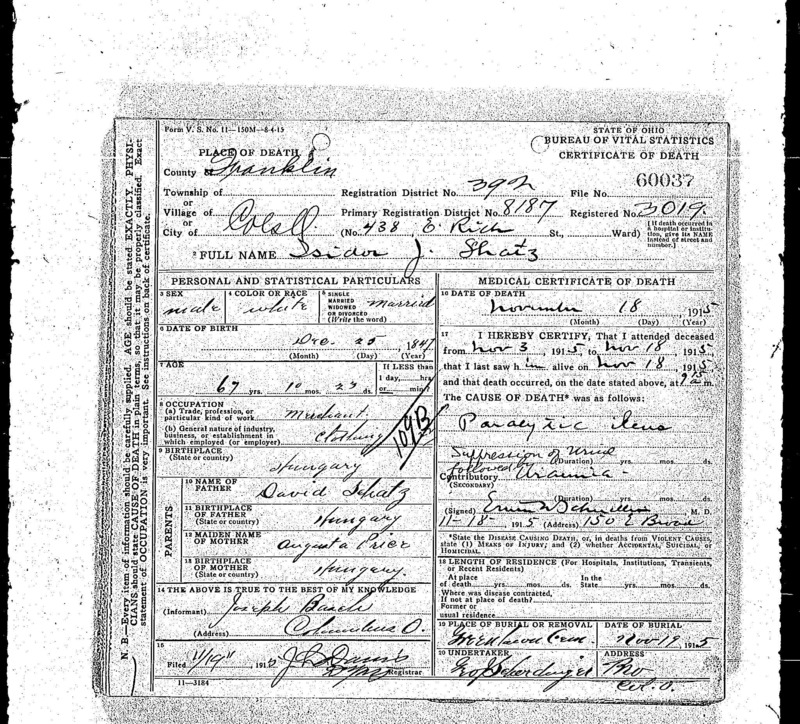 The doctor who signed the death certificate attested that Felix had been under his care since August 2, 1916, and the certificate also revealed that Felix had been in this hospital for seven years, ten months, and two days, or since November 16, 1911. This hospital still exists as an adult psychiatric hospital and was formerly known as the Central Kentucky Asylum for the Insane. How terribly sad that Felix had to spend so many years institutionalized. 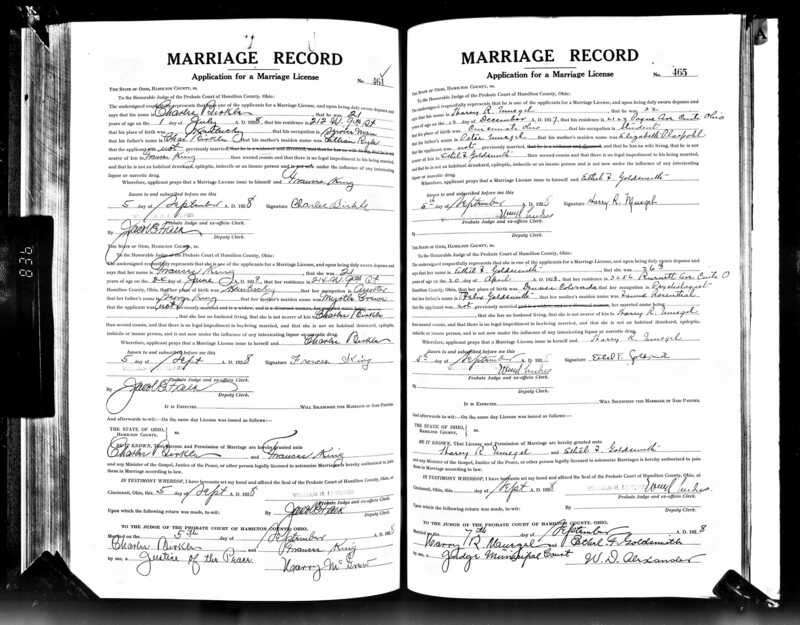 On September 7, 1928, Ethel married Harry Muegel in Cincinnati. 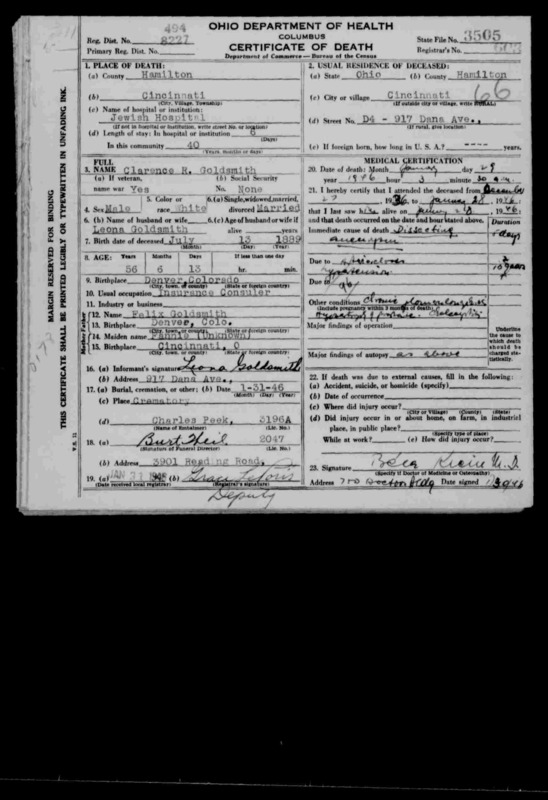 Harry was the son of Peter Muegel and Elizabeth Plaspohl and was born on December 12, 1895, in Cincinnati. He was a student at the time of their marriage, and Ethel was a psychologist. I find it fascinating that both Ethel and her brother Clarence ended up working with children in trouble. I have to wonder whether their father’s experience with mental illness influenced their career choices. In April 1931, Clarence was engaged to Leona Rosenbaum. She was the daughter of David Rosenbaum and Lydia Miller and was born in Baltimore on September 5, 1900. 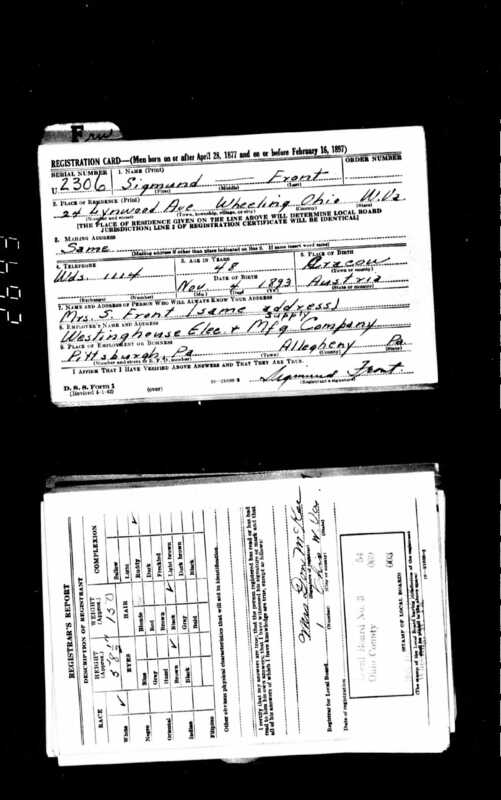 Her father owned a drugstore, and in 1930 Leona was working as a teacher in a parochial school and living with her parents in Cincinnati.3 Although I was able to find the engagement announcement in the newspaper, I could not locate a marriage record or announcement, but I did find references to Mrs. Leona Goldsmith and Mrs. Clarence Goldsmith in the Cincinnati papers starting in 1932, so they must have married by then. 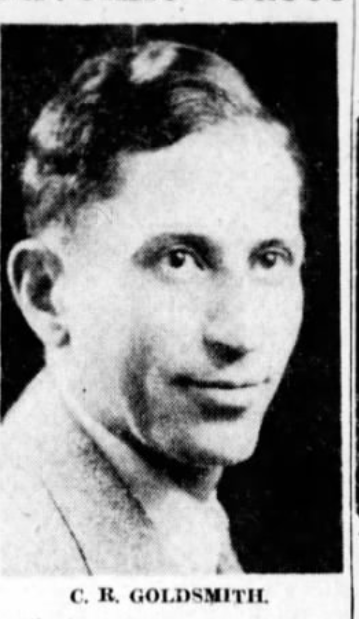 An article in the July 2, 1936, Cincinnati Enquirer (p. 12) referred to Clarence as the assistant chief engineer of the National Board of Fire Underwriters, indicating that he had left his juvenile court position for work in the insurance industry. 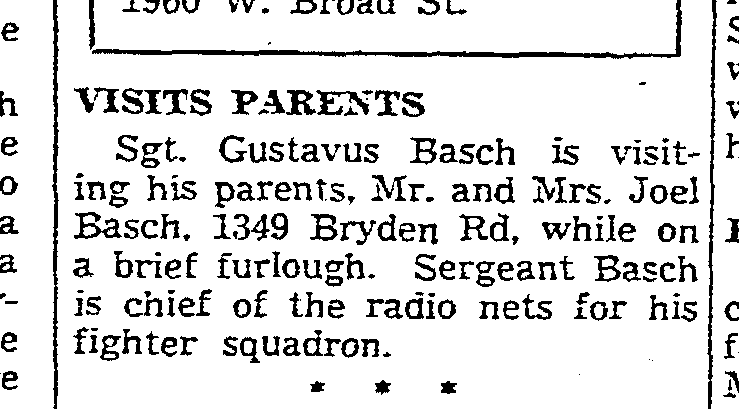 Things thus seemed to be going well for Felix Goldsmith’s family as of 1936; his children were both married, and both had meaningful careers. But then tragedy struck twice in one month. On May 1, Felix’s widow Fannie Rosenthal Goldsmith died from chronic nephritis and hypertension; she was 74. 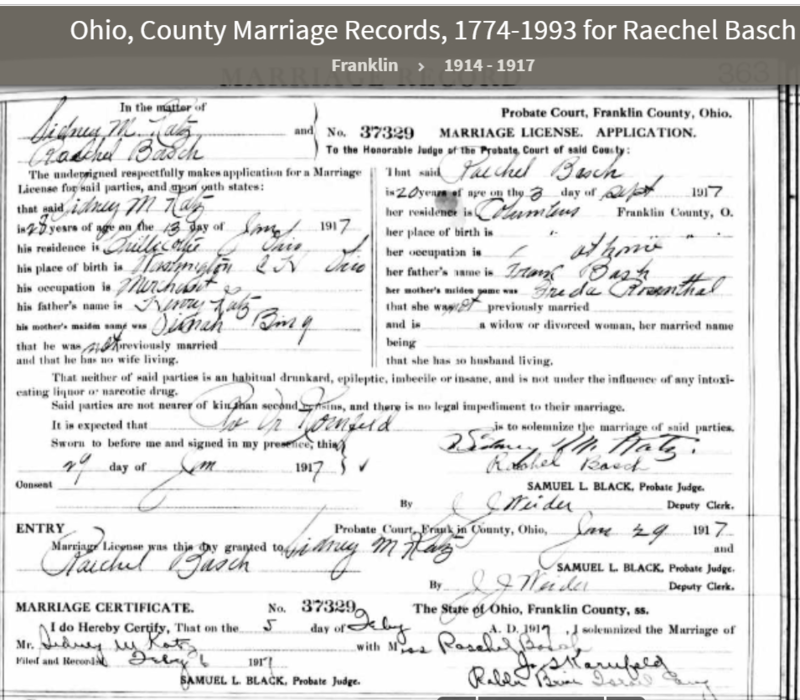 Ohio Deaths, 1908-1953,” database with images, FamilySearch (https://familysearch.org/ark:/61903/3:1:33SQ-GP2P-9VMD?cc=1307272&wc=MD9X-FNL%3A287599101%2C294427301 : 21 May 2014), 1937 > 29701-32800 > image 2781 of 3325. 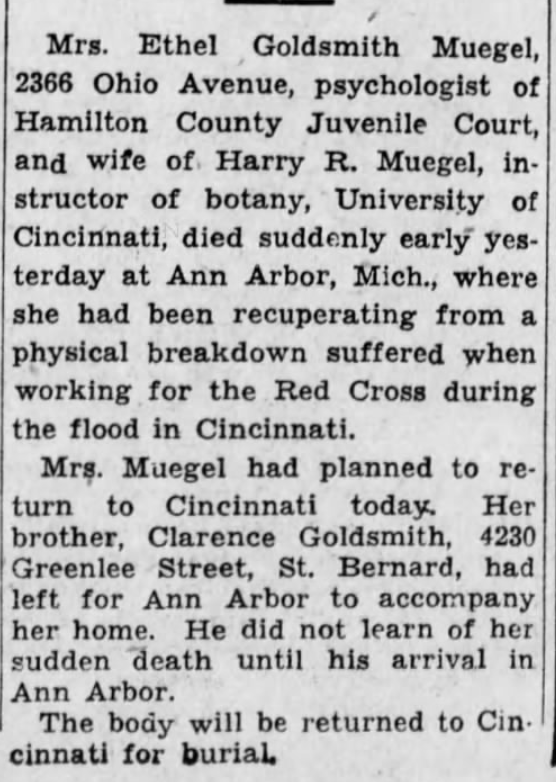 Ethel Goldsmith Muegel had sacrificed her health and ultimately her life to help those in need. Clarence Goldsmith had lost his mother and his younger sister in the space of two weeks. That seems unimaginable. 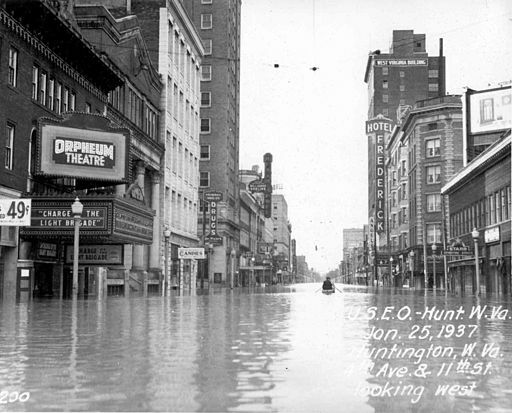 In 1940, Clarence and his wife Leona were living in Cincinnati where he was working as an insurance agent.4 Sadly, Clarence died six years later on January 29, 1946, at the age of 56. 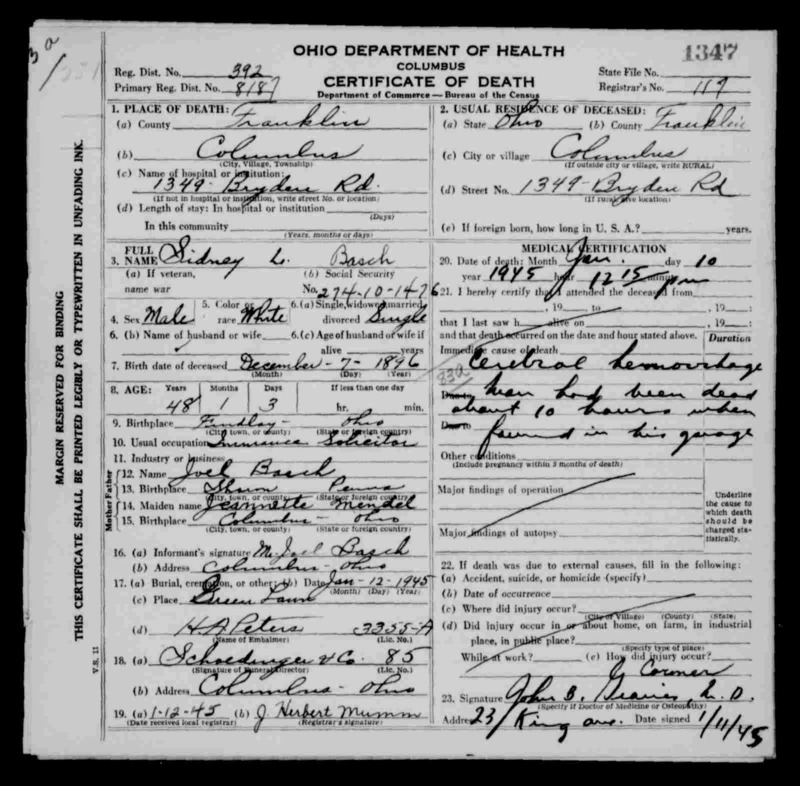 “Ohio Deaths, 1908-1953,” database with images, FamilySearch (https://familysearch.org/ark:/61903/3:1:S3HY-XCRQ-4PD?cc=1307272&wc=MD96-FWP%3A287602801%2C289221002 : 21 May 2014), 1946 > 03001-06100 > image 558 of 3479. He and fellow “big brothers” took such unfortunate juveniles under their wing, befriending them and offering moral help. Mr. Goldsmith had received letters from servicemen all over the world thanking him for giving them a new slant on life. Clarence Goldsmith, The Cincinnati Enquirer, January 30, 1946, p. 8. 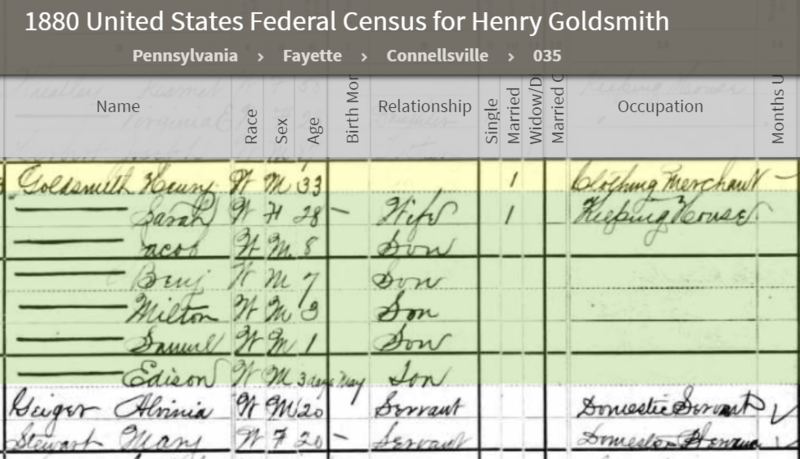 Neither Clarence nor Ethel had children, so there are no descendants of Felix Goldsmith or his children. All three died before reaching age sixty. 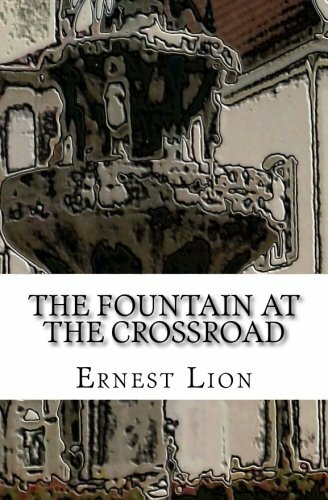 Felix certainly struggled in his life, dealing with psychiatric issues that caused him to be institutionalized, leaving his wife Fannie and his two children to go on without him. His children found ways to help other children who also might have endured difficult issues at home—Ethel as a psychologist in juvenile court, Clarence as a probation officer and then as a volunteer with Big Brothers. What a noble way to honor their father’s memory. I hope by telling their story I have honored theirs as well. As I wrote in my last post, it took the combined efforts of many people to put together the full picture of my Morreau cousins. 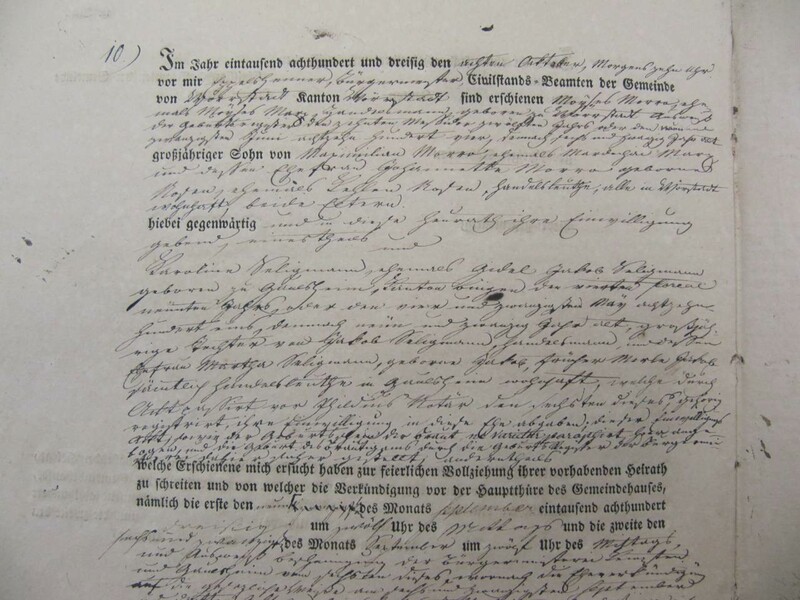 Without Wolfgang and the handwritten trees, Shyanne, Michael Phillips, Paul, Dorothee, and Friedemann Hofmann, I never would have been able to find all the names and dates. 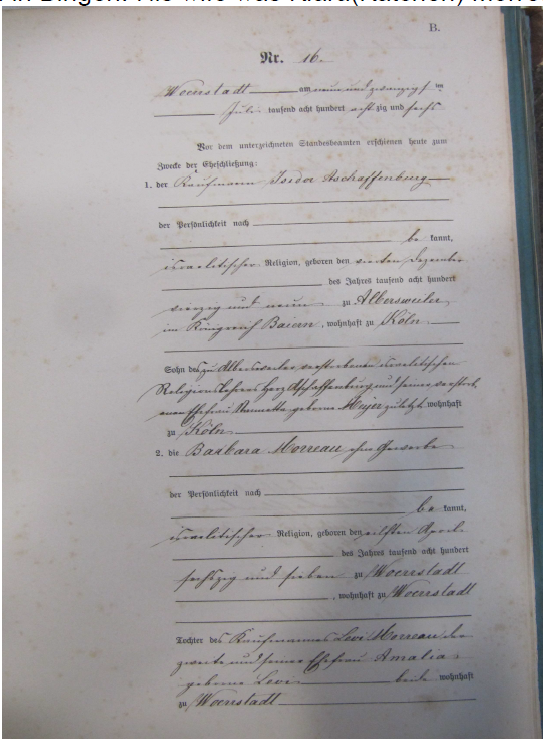 Dorothee provided the final and essential link to Friedemann Hofmann, who sent me images of the actual records and of the gravestones of the Morreau family, helping me to corroborate the factual assertions I’d seen on secondary sources. Many of the records and images in this post came from Friedemann. Thank you all again for your help! 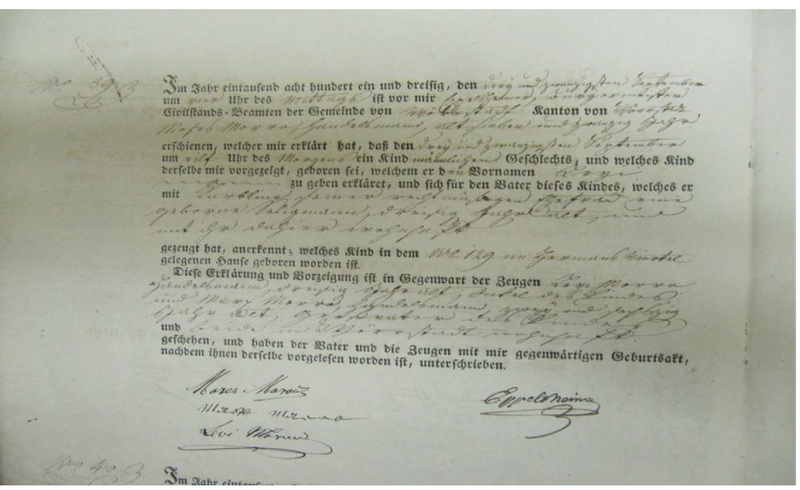 The records establish that my four times-great-aunt Caroline Seligmann (1802-1876), sister of Moritz Seligmann and daughter of Jacob Seligmann and Martha Mayer, was married to Moses Morreau, son of Maximilian Morreau and Janette Nathan, on October 8, 1830. Moses was born in Wörrstadt, Germany, on June 28, 1804. Moses and Caroline settled in Wörrstadt, which is less than twelve miles from Gau-Algesheim where Caroline’s parents lived. 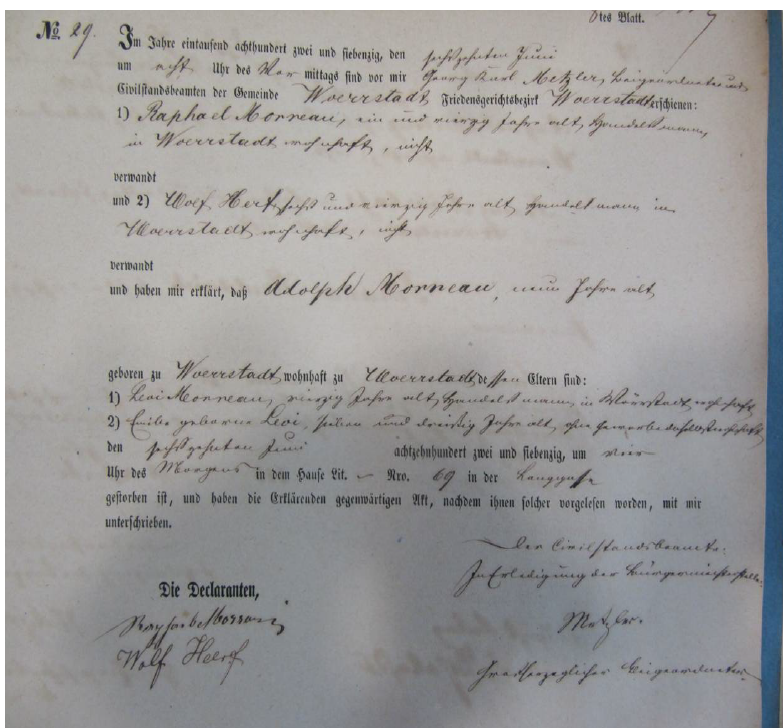 Moses and Caroline had two children, both of whom were born in Wörrstadt: Levi (Leopold), who was born September 25, 1831, and Klara, who was born July 9, 1838. This post will focus on Levi and his descendants; the one to follow will focus on Klara and her family. 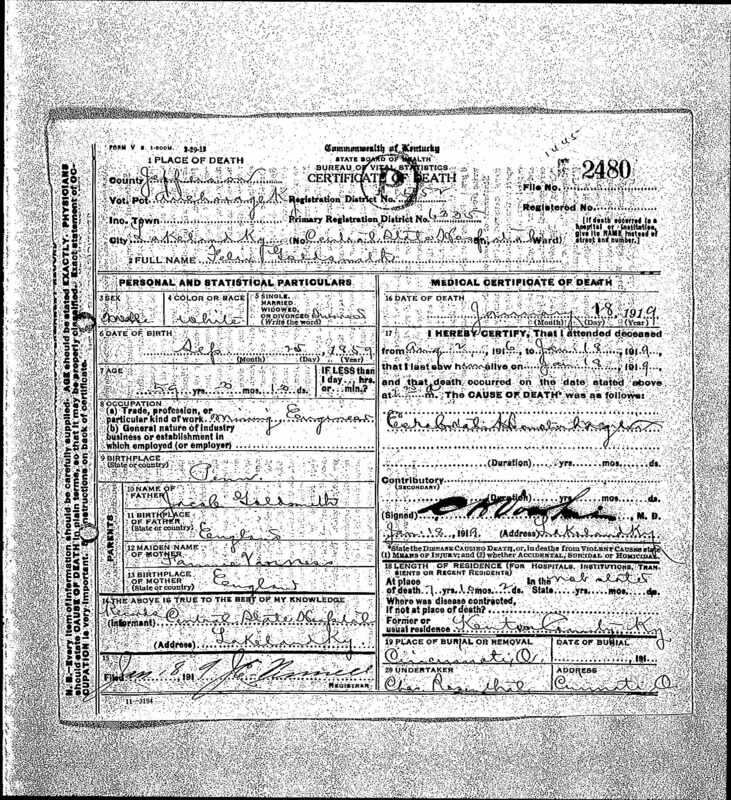 Levi married Emelia Levi. 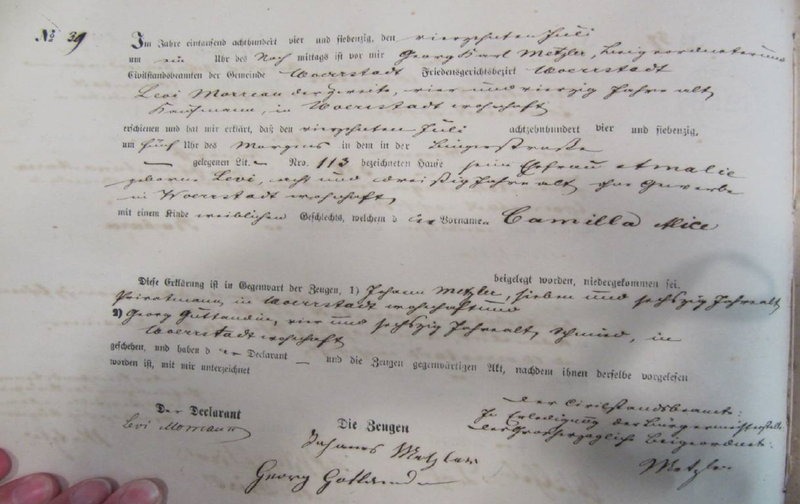 Emelia’s death record reveals that she was born in Alsheim, Germany, in 1836. 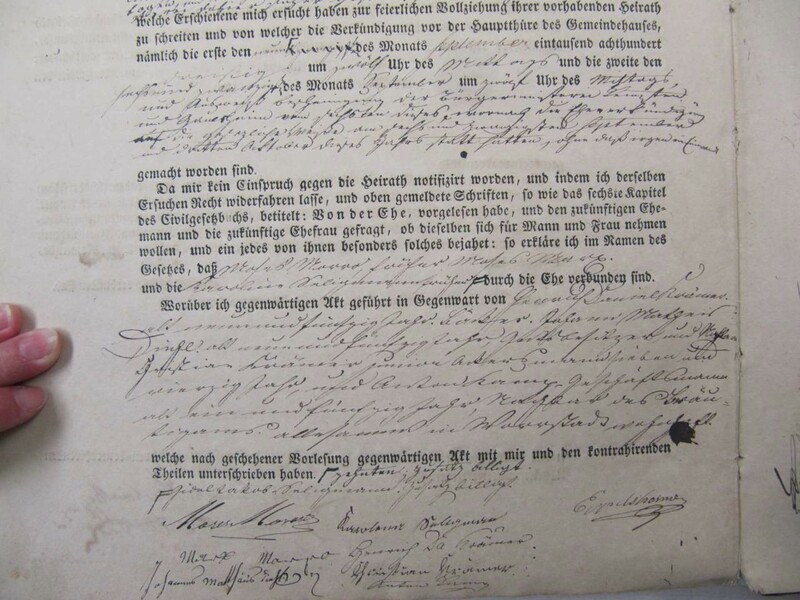 Levi and Emelia had five children, all born in Wörrstadt where Levi was a merchant: Markus (1859), Albert (1861), Adolf (1863), Barbara (1867), and Camilla Alice (1874). Adolf died when he was nine years old in 1872. 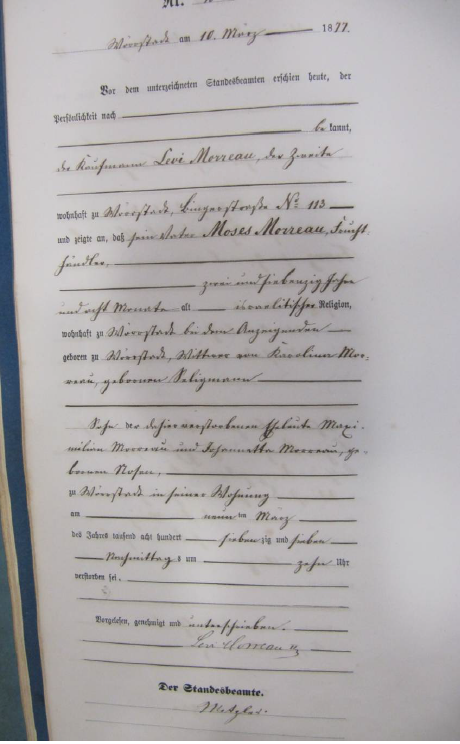 Levi’s mother Caroline Seligmann Morreau died in 1876, and his father Moses Morreau died the following year, both in Wörrstadt. Caroline was 74 when she died, and Moses was 72. 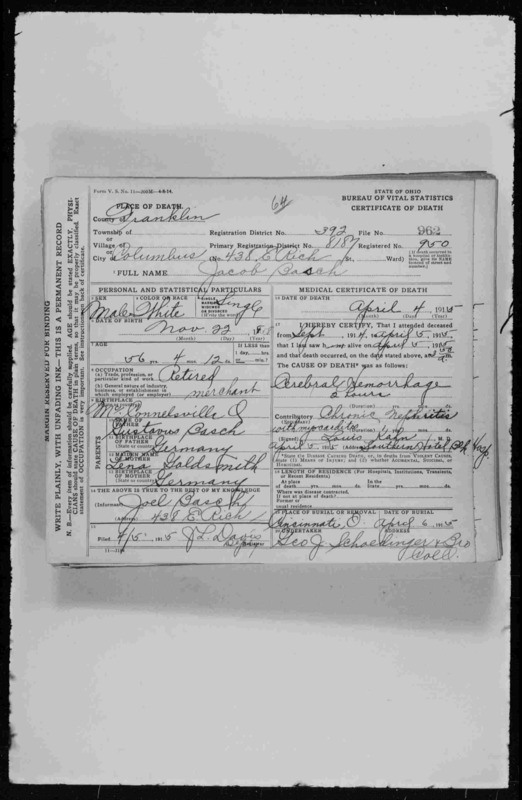 Markus’ brother Albert also left Germany as a young man. According to the biography of Albert Morreau in A History of Cleveland, Ohio: Biographical (S.J. Clarke Publishing Company, 1910) by Samuel Peter Orth, after Albert finished school, he went to Frankfurt, where he worked as an apprentice for five years in a dry goods store. 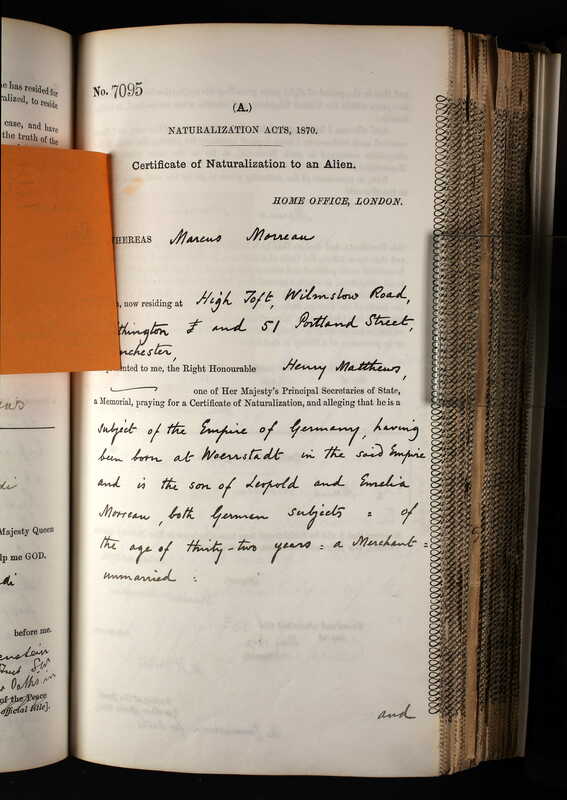 He then went to England, where he worked as an assistant correspondent in an export house. 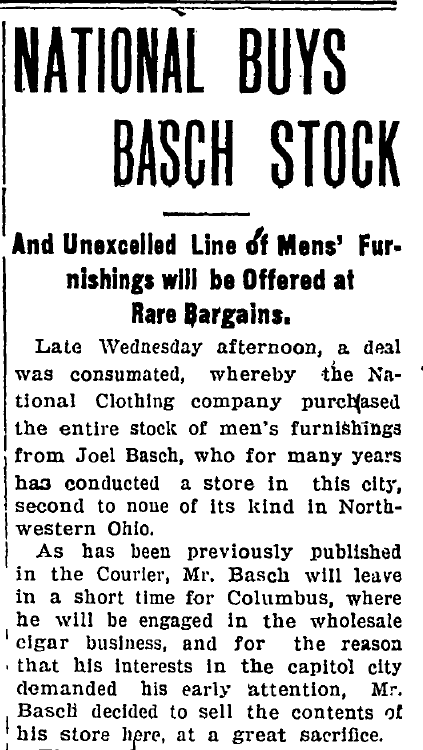 After two more years, he left for America and settled in Cleveland, where he worked as stock clerk and salesman for Landesman, Hirschheimer & Company for five years. After being in the US for five years, Albert started his own business manufacturing gas lighting fixtures in 1887. 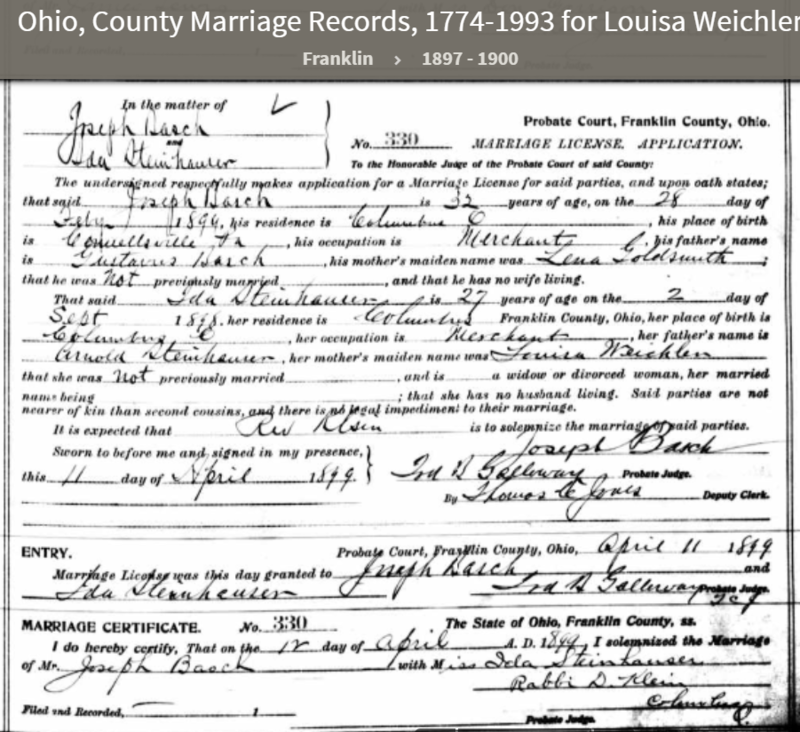 In 1893, he married Lea Nora Heller in Cleveland, Ohio. 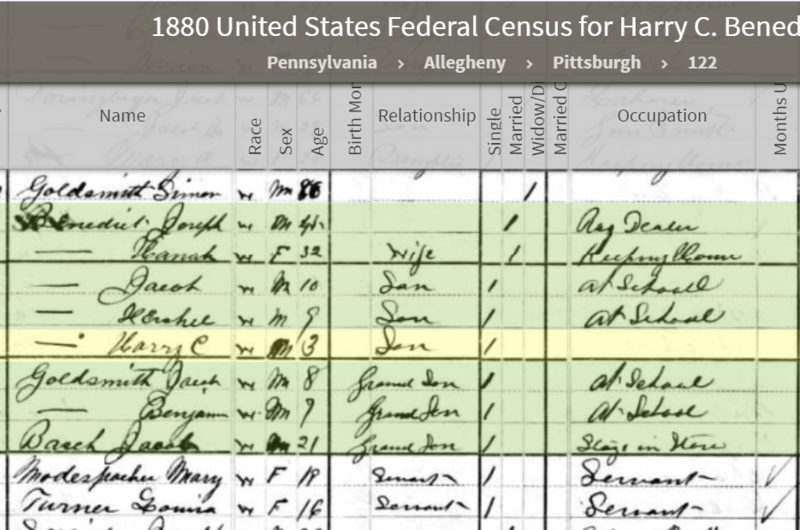 Leanora, as I’ve written before, was born in Ohio in 1867. Her parents were also American born. 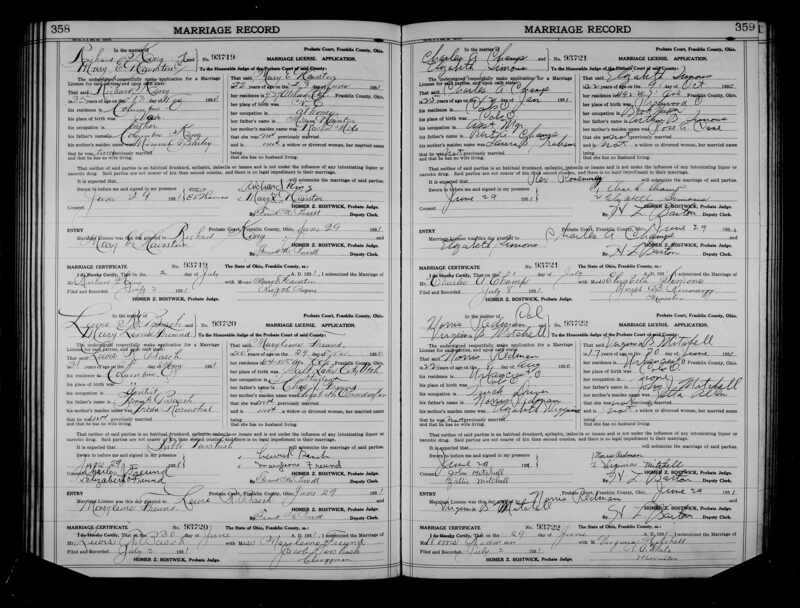 Albert and Leanora had two sons, Myron (1895) and Lee (1898). Meanwhile, Albert’s company, Morreau Gas Fixture Manufacturing, was expanding. 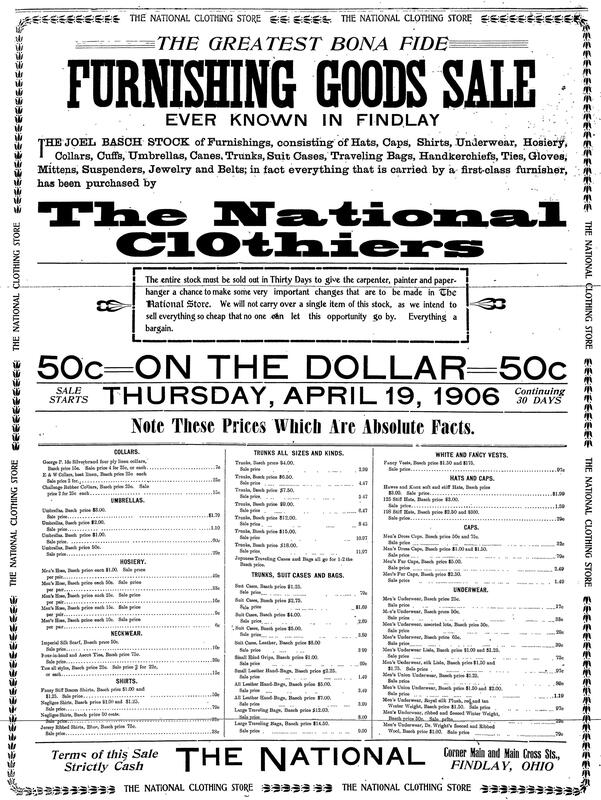 It grew from a small three-person operation in 1887 to a company that employed over 150 people by 1910; the company was selling its products throughout the United States and was one of the largest businesses in Cleveland, according to Orth. The company did its own product design and had “a reputation for great excellence.” Orth, p. 844. 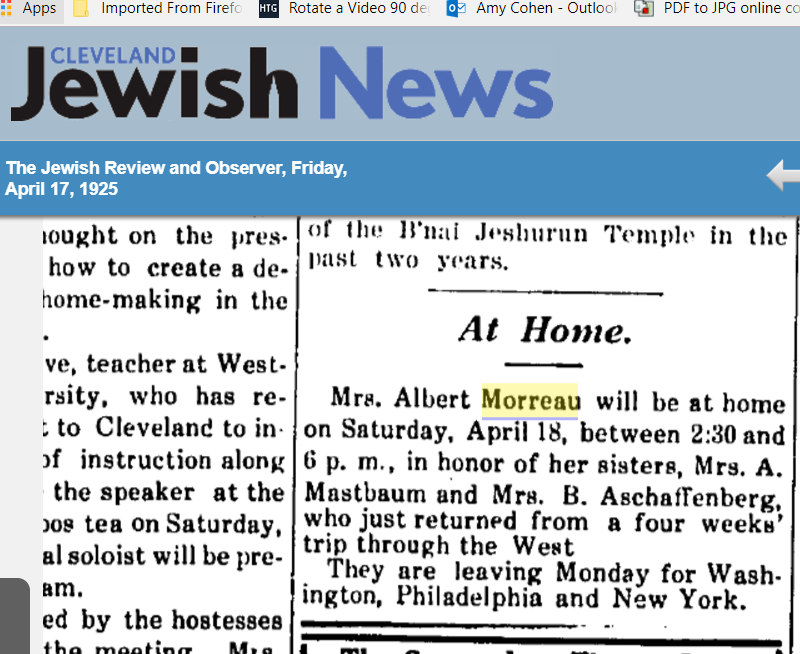 Thus, Albert Morreau found great success in Cleveland. 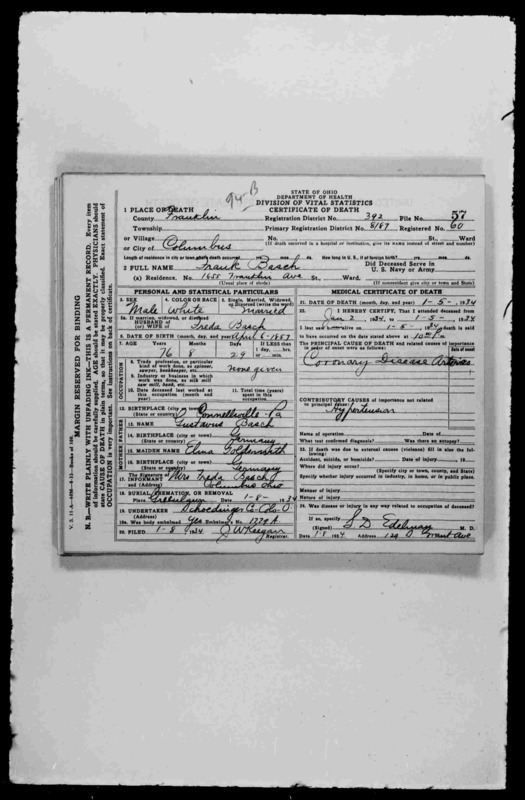 Albert Morreau and Leanora Heller Morreau 1915 United States Passport Applications, 1795-1925,” database with images, FamilySearch (https://familysearch.org/ark:/61903/1:1:QVJP-423K : 4 September 2015), Albert Morreau, 1915; citing Passport Application, Ohio, United States, source certificate #49162, Passport Applications, January 2, 1906 – March 31, 1925, 234, NARA microfilm publications M1490 and M1372 (Washington D.C.: National Archives and Records Administration, n.d.); FHL microfilm 1,514,173. 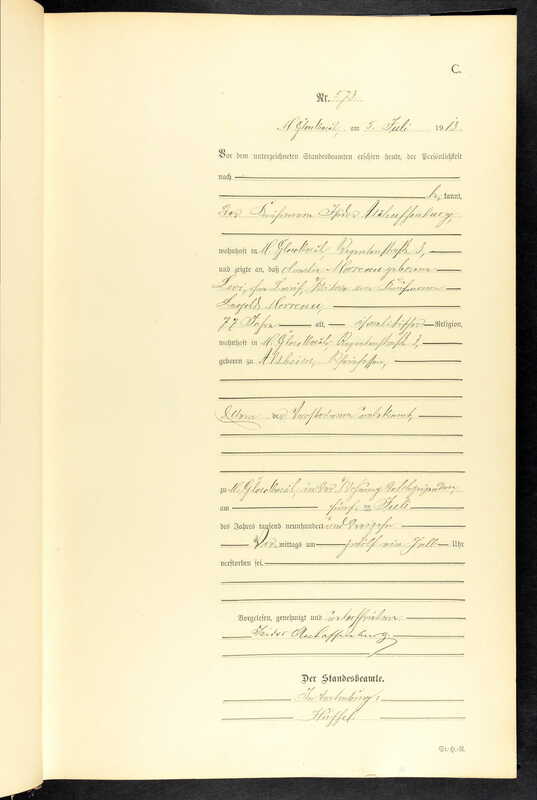 As for Albert’s two sisters back in Germany, Barbara/Bertha (generally known as Bertha) married Isidor Aschaffenburg in Wörrstadt on July 29, 1886. She was nineteen, and he was 36. 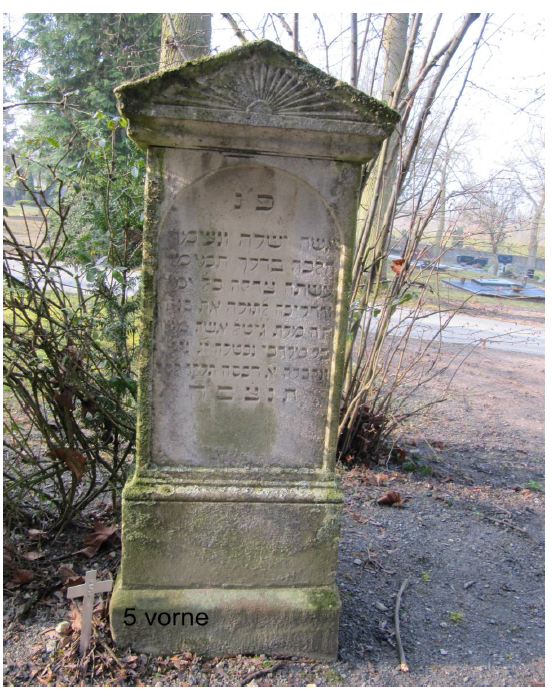 Isidor was a merchant and was born in Albersweiler, Germany, the son of Rabbi Hertz Aschaffenburg and Nanette Mayer, on December 4, 1849. 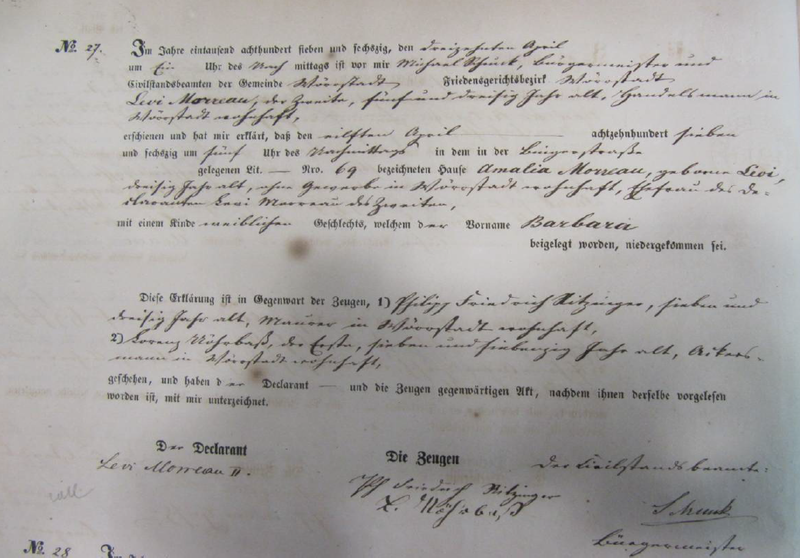 Isidor and his parents were living in Cologne at the time of the marriage, and Bertha soon relocated to Cologne with her new husband. 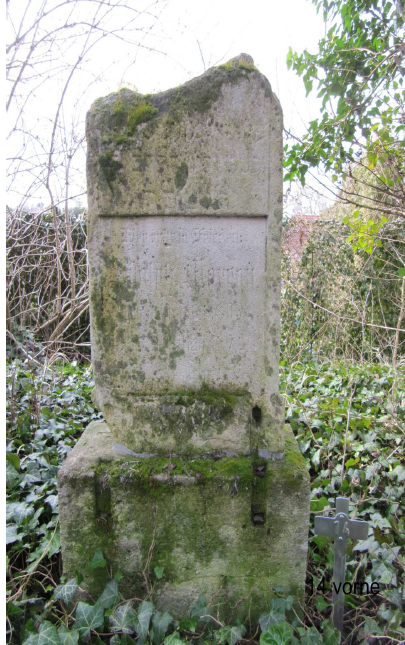 Isidor and Bertha had two sons born in Cologne: Paul, who died before he was a year old while visiting Bertha’s parents in Wörrstadt, and Ernst, who was born July 15, 1890. 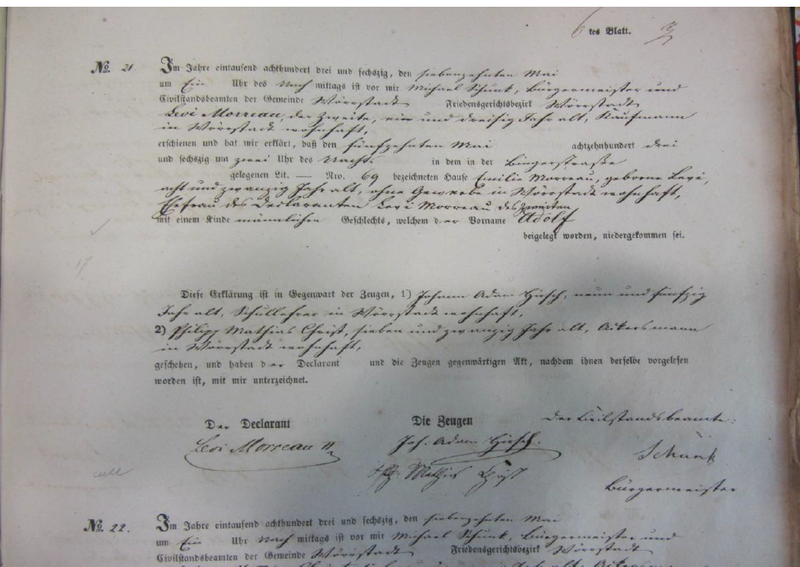 Sometime before 1897, Levi Morreau and his wife Emilia and their daughter Camilla Alice (generally known later as Alice) moved to Monchengladbach. Monchengladbach is located north of Cologne and is about 140 miles from Wörrstadt. 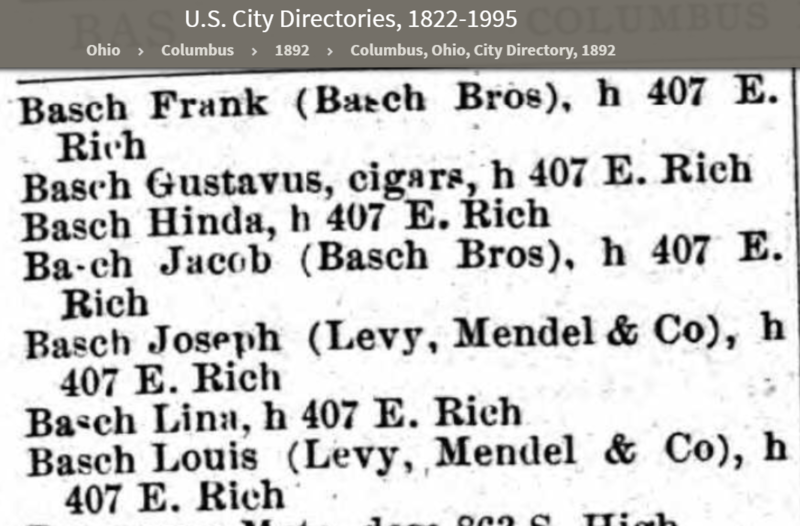 Since Bertha and Isidor were living in Cologne, I assume that Levi, Emilia, and Alice moved there to be closer to their daughter and surviving grandson sometime after their grandson Paul died in Wörrstadt in 1888. Ancestry.com. 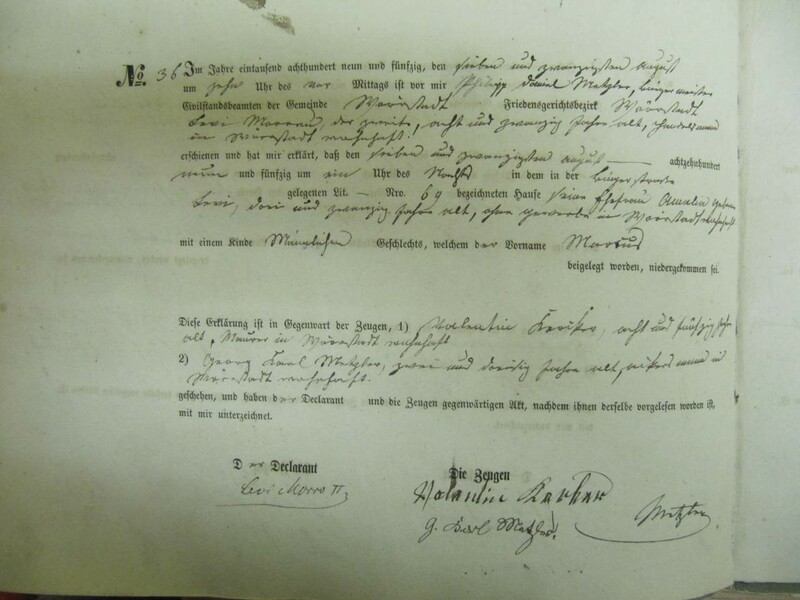 Mönchengladbach, Germany, Death Records, 1798-1950 [database on-line]. Provo, UT, USA: Ancestry.com Operations, Inc., 2016. 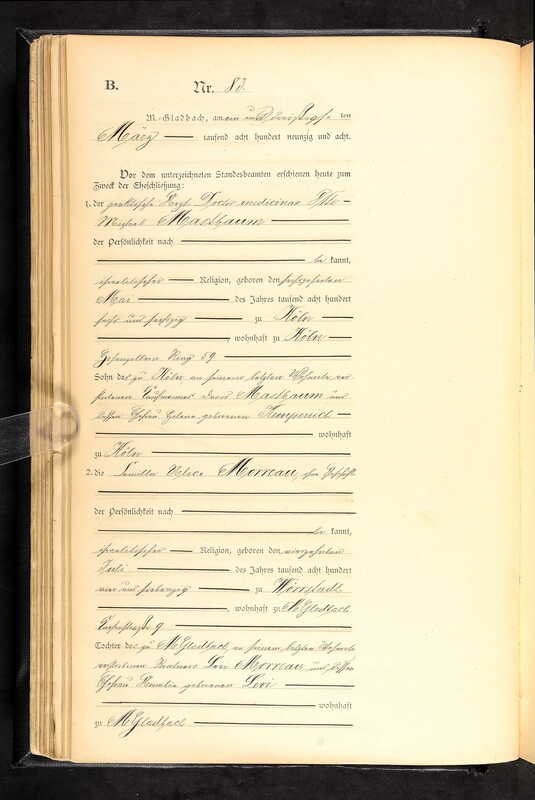 On March 31, 1898, eight months after her father’s death, Alice, the youngest child of Levi and Emilia Morreau, married Otto Mastbaum, a doctor, in Monchengladbach. Alice was 23, and Otto was 31. Otto was born in Cologne on May 16, 1866, the son of David and Helene Mastbaum. Alice and Otto did not have children. Ancestry.com. 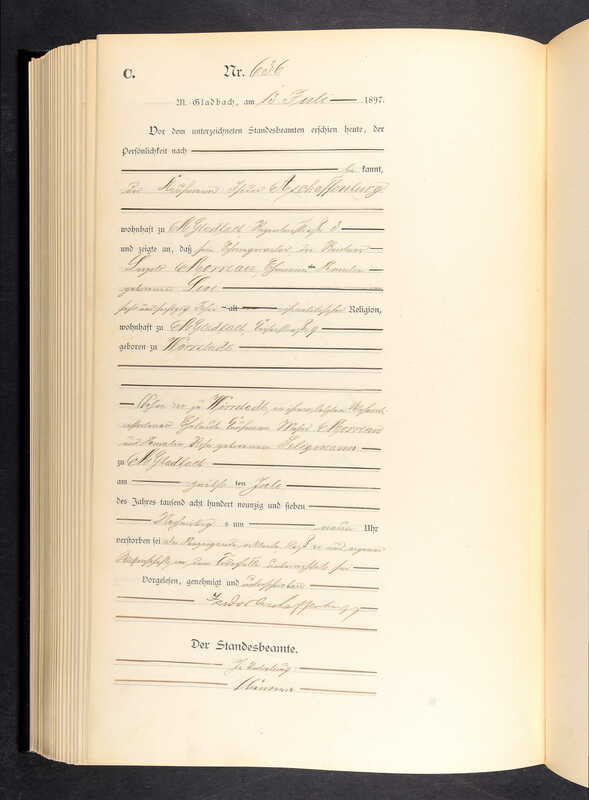 Mönchengladbach, Germany, Marriages, 1798-1933 [database on-line]. Provo, UT, USA: Ancestry.com Operations, Inc., 2016. 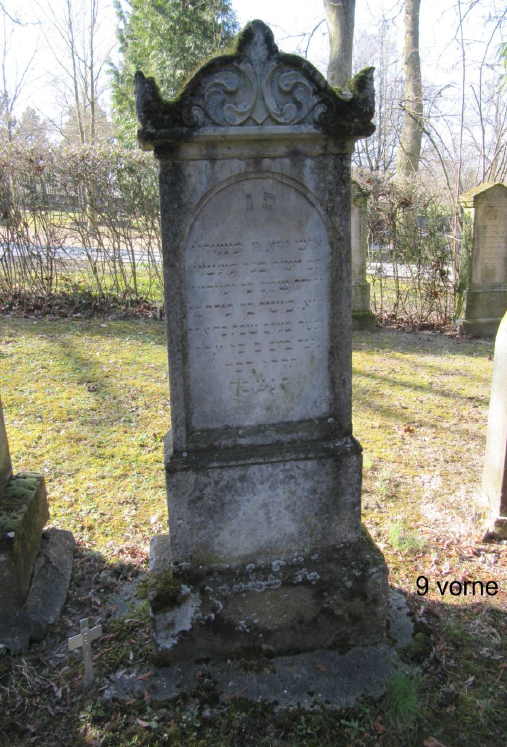 Emilia Levi Morreau died on July 5, 1913, in Monchengladbach; she was 77 years old. Sadly, both Bertha and Alice were widowed at relatively young ages. Otto Mastbaum, Alice’s husband, died in 1919, according to sources in Cologne; he was fifty-three, and Alice was only 45. 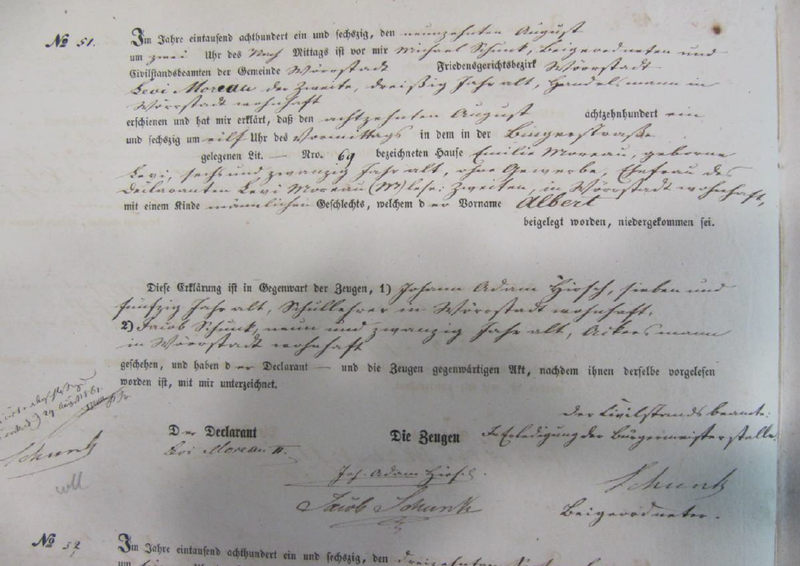 Bertha’s husband Isidor Aschaffenburg died on May 26, 1920; he was seventy, and Bertha was 53. Alice and Bertha remained in Monchengladbach, Germany. 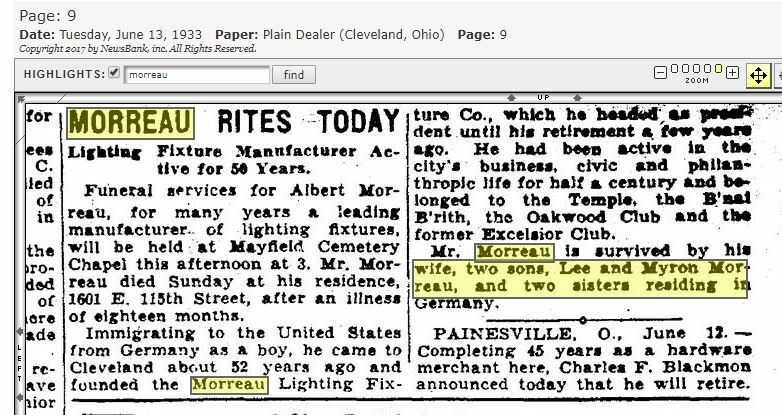 They traveled together to the US on the SS Albert Ballen in April, 1924, to visit their brother Albert in Cleveland. 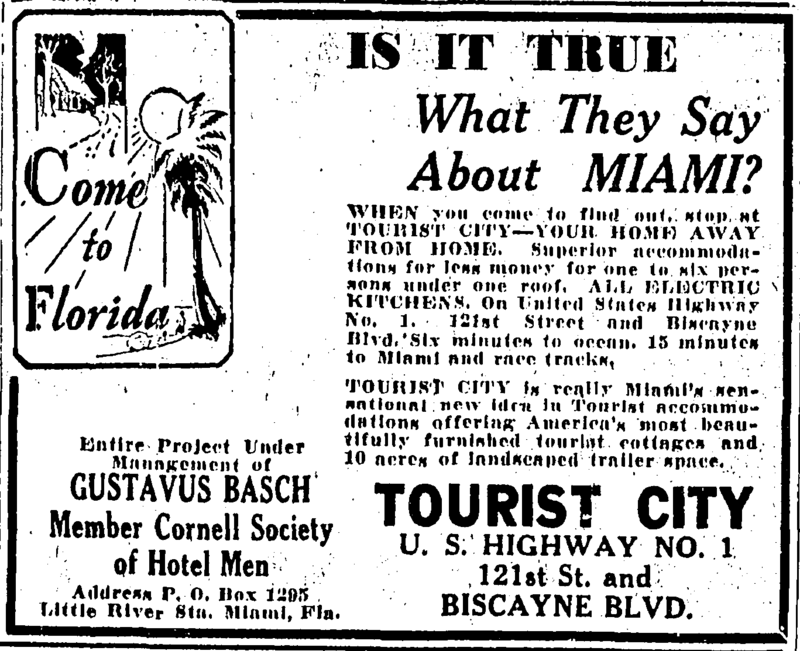 Apparently they also visited in 1925 and toured much of the United States. Albert died the following year on June 11, 1933; he was 71. 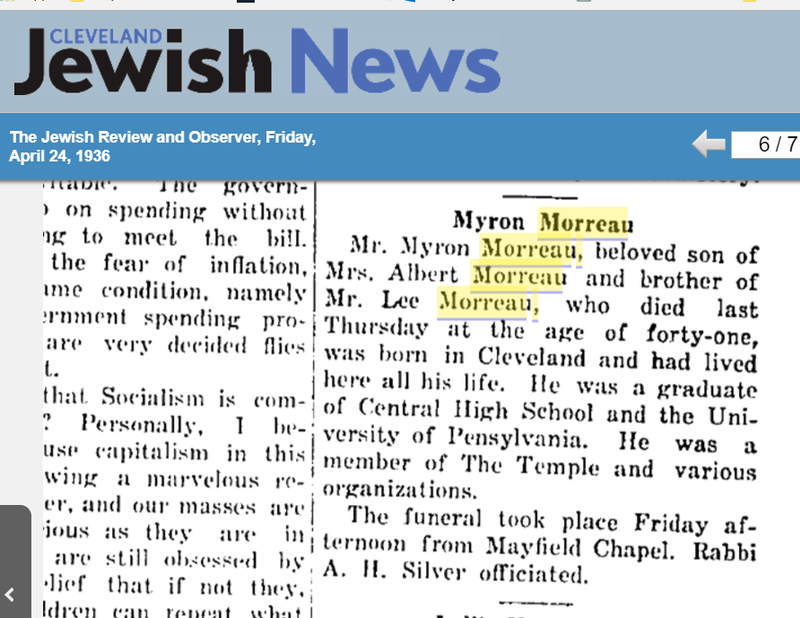 His son Myron died just three years later on April 16, 1936. He was only 41 years old and had not married. 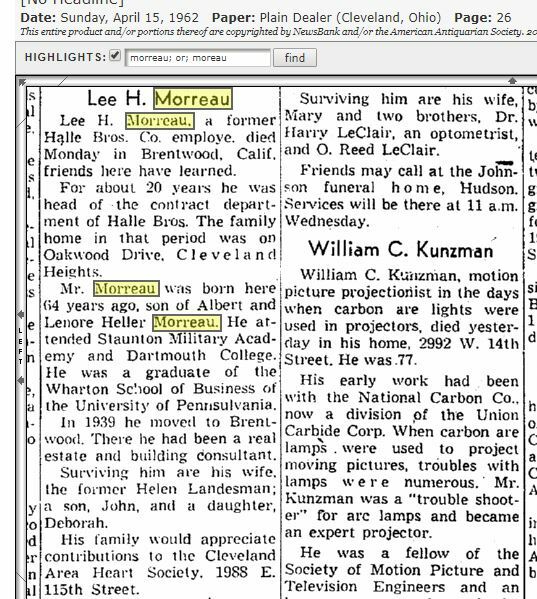 Myron’s first cousin Cecil Morreau, the son of Markus Morreau and Alice Weinmann, also died young; he died in England on March 2, 1939, just a month before his 34th birthday. Ancestry.com. 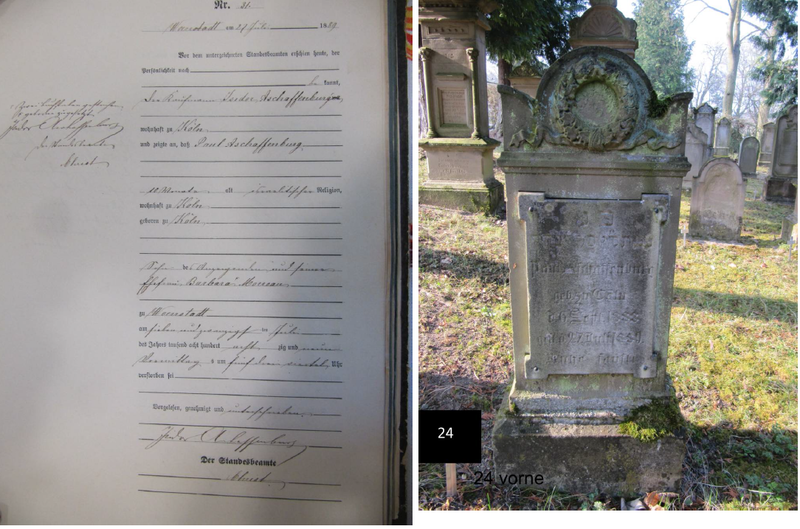 Surrey, England, Church of England Burials, 1813-1987 [database on-line]. 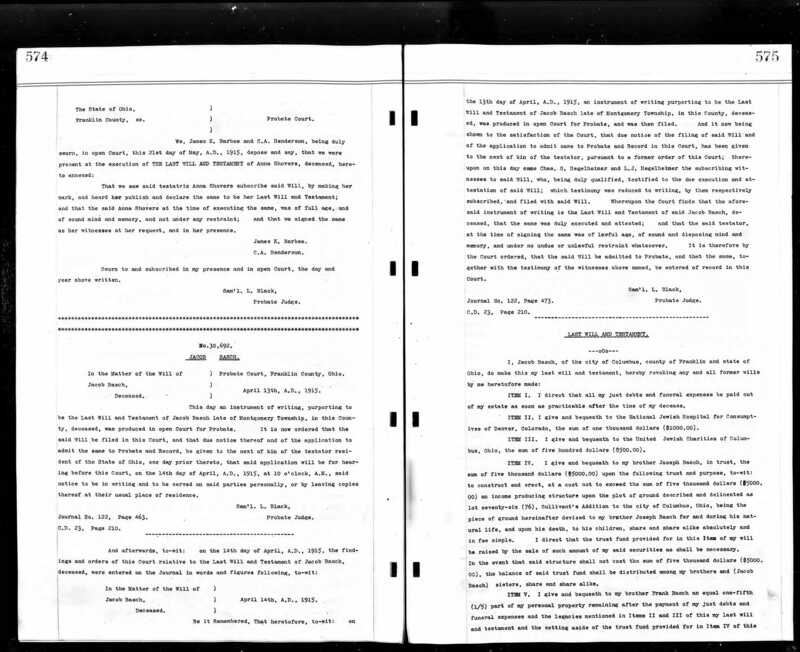 Provo, UT, USA: Ancestry.com Operations, Inc., 2013. Thus, by 1947, all of the children of Levi Morreau and Emilia Levi had died as had four of their seven grandchildren. Only three grandchildren remained: Rene Morreau and Madeline Morreau, the surviving children of Markus Morreau and Alice Weinmann, and Lee Heller Morreau, the surviving son of Albert Morreau and Leanora Heller. Lee died in 1962 when he was 63. The only grandchildren of Levi Morreau and Emilia Levi who lived past seventy were Rene, who died in 1982 a few months shy of his 80th birthday, and Madeline, who somehow beat the odds in her family and lived to 88, dying in 1996. Fortunately, despite the fact that so many of Levi Morreau and Emilia Levi’s grandchildren died at relatively young ages, there are living descendants. One of them is my cousin Shyanne, whose comment and research started me on this journey to learn about my Morreau relatives. 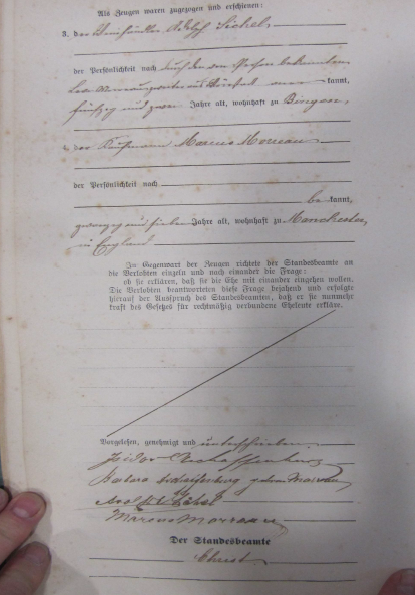 The next post will be about Klara Morreau, the daughter of Caroline Seligmann and Moses Morreau.